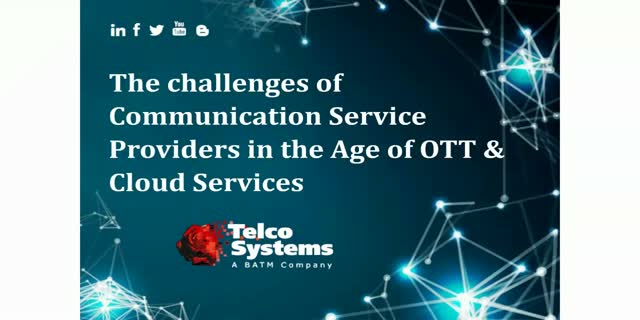 In this webinar we will discuss the challenges of Communication Service Providers (CSPs) in the age of Over the Top (OTT) and Cloud services and the potential solutions to address those challenges. We will explain in details how CSPs can address future trends such as growing demand for L3 and mixed of L2+L3 connectivity , and the loss of revenue, which forcing them to reduce OPEX and CAPEX. Telco Systems is a leading provider of innovative SDN & NFV multi-service Carrier Ethernet 2.0 and MPLS edge solutions.